Use these 10 hands-on lab manuals for SharePoint 2010 to get started learning SharePoint 2010 development. Each lab is available in C# and Visual Basic. This hands-on lab introduces the Visual Studio 2010 SharePoint development environment. It shows how to build a Visual Web Part using LINQ to SharePoint, and how to connect one Web Part to another Web Part on the page. This hands-on lab walks you through building a list definition for SharePoint 2010 in Visual Studio 2010. It also shows how to build an event receiver for the list in Visual Studio 2010 and deploy it to SharePoint. After the list and event receiver are deployed, you can use the developer dashboard to evaluate the performance of the event receiver. This hands-on lab shows how to build a Web Part using several SharePoint-specific controls in Visual Studio 2010. Investigate advanced built-in Web Parts, including the Data View Web Part. This hands-on lab explores a variety of LINQ queries on SharePoint 2010, going into more depth than the introductory hands-on lab. It also walks you through an exercise of creating a custom content type in Visual Studio 2010. This hands-on lab introduces the Client object model for use in calling SharePoint 2010 APIs from a client machine. It also shows the use of ADO.NET Data Services to call REST services in SharePoint 2010. This hands-on lab walks you through building an external content type for Business Connectivity Services using Visual Studio 2010. It also builds a form for Microsoft Outlook and shows the data being edited offline in Outlook. This hands-on lab walks you through building a workflow in Visual Studio 2010 for SharePoint 2010. You add an initiation form to the workflow and use an external data exchange activity in the workflow. This hands-on lab walks you through building Microsoft Silverlight applications for use in SharePoint 2010. You will access SharePoint 2010 data in Silverlight using the Client object model. This hands-on lab walks you through building a Sandboxed Solution Web Part for SharePoint 2010. It will also add code to the Web Part that overloads the limits placed by the sandboxed solution, and you will review how the solution is shut down. This hands-on lab walks you through adding a custom action to the SharePoint 2010 ribbon, and creating a Web Part that uses the Dialog Framework. 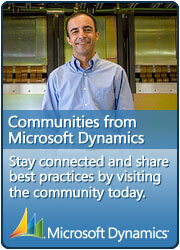 Microsoft SQL Server 2008 JumpStart is the answer. There are 5 tracks in this event: Overview Sessions, Database Infrastructure and Scalability, Business Intelligence Part I & II, Developer & Software + Services, and Application Compatibility & Upgrade. So if you are a developer, a business intelligent consultant, .. and are looking for descent Microsoft training on Microsoft SQL 2008. Than this the site to go to. There are presentations, hands on labs etc and it’s completely free!